To be able to make a will, you must be over 18 and have ‘mental capacity’. This means an understanding of the nature of the actions, the effects and the full value of your property. The executor is appointed under a Will and has certain responsibilities. These include paying off any debt, organising funeral finance and following the instructions of the Will. Anyone over the age of 18 can be an executor. Usually it is a member of your family, your partner, a friend or even a solicitor. You can have up to 4 executors acting at one time. You can appoint substitute executors to cover the event if the first choice dies before you. Can An Executor Be A Beneficiary In The Will? Yes, an executor can be a beneficiary in your will. Generally, the main beneficiary is an executor. If this is not the case, you may wish to gift a sum of money to the executor conditional upon them acting as your executor. What If I Appoint My Solicitor? If you appoint a solicitor to be your executor, they can charge a reasonable cost for acting. Usually this is between 1 – 2% of the estate. It is not paid until the end of the administration. How Can I Revoke A Will? A new will can be created which will revoke all previous will. Your will is automatically revoked if you marry or enter a civil partnership. Otherwise, destruction of the will demonstrates the intention to revoke. Any independent person can witness your Will. Independent means that they must not be related to the maker of the Will or a beneficiary under the Will. What Do I Do When I Have Executed My Will? 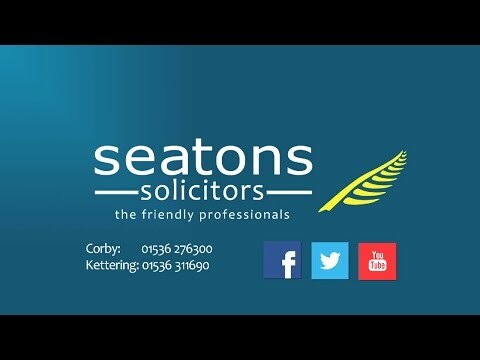 Once you have validly signed and executed your Will, you should send it back to Seatons so we can ensure it has been executed correctly. We can then store your Will in our strong room and provide you with certified copies. If you don’t make a Will, you cannot specify how you want your estate to be distributed upon your death. If you haven’t made a Will, your estate passes under the law. My name is John Pridmore. I am a lawyer who specialises in creating and preparing wills. Please contact us for a free, no obligation chat at our Kettering office on 01536 311690 or contact us online.